Environment: 0 to 50 °C; 100 % RH max. 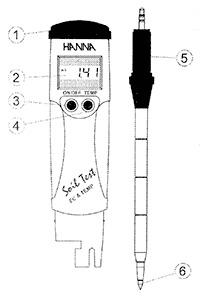 Integrated temperature sensor in tip of probe. Temperature accuracy: ±1.5°C above 15°C. 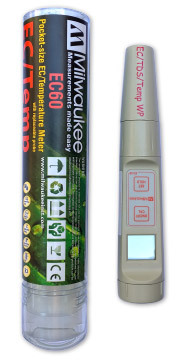 Milwaukee range of waterproof Conductivity Meters.